Prior to starting his service at the Seminary, Dr. Kon Hwon Yang served at various churches in California as choir director, youth minister, and pastor. 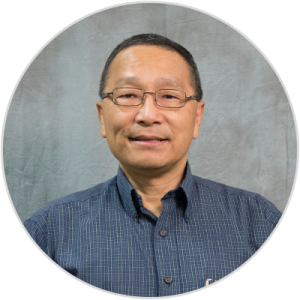 Following several years of service as the Seminary's Dean of Students and his faculty election in 1997, Dr. Yang has been a resident professor at the Pacific Northwest Campus in Vancouver, Washington since 1999. His areas of interest and specialty include the prophetic and wisdom literature in the Old Testament, Old Testament spirituality, and writing and utilizing case studies in the study of the Old Testament. He has served as a faculty member at the Summer Institute for Case Teaching. As a trained singer, he frequently sings both solos and duets with his wife Patricia at local churches and enjoys singing in the church choir directed by Patricia.